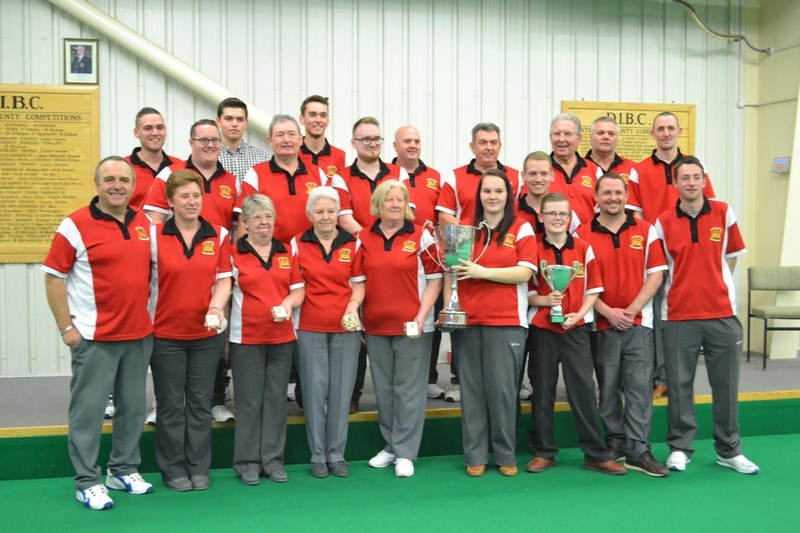 The Short Mat Inter County final took place at Daventry Indoor Bowling Club on Sunday 8th March. Against the favourites Cheshire the Hampshire team made a tentative start but where soon matching their opponents. In the first session of the day between two singles and two pairs from each County, Hampshire took a surprise lead on three mats on the fifth end with some good ditch play from Paul England in the pairs. However, they where soon pegged back and shared the points 4-4. The fours and triples then took to the mats and again shared the honours with the match balanced at 8-8 at the half way stage. Session two started well with Wendy Ford bowling well with her leading woods in the pairs, but Hampshire started to wilt under the pressure from seven times winners Cheshire who took control at the three quarter stage going 17 – 11 up. Hampshire had now to win both sets of fours and triples to accumulate enough points along with the overall bonus points from one of the disiplines to overcome last years champions. All four sets of players took the game to Cheshire with some tremendous bowling, As the rest of the squad cheered them on and with a great team spirit showing through, the battle was on. With the final couple of ends to be played Hampshire returned the favour and put Cheshire under pressure. Martyn Dubb skipping the only mat not in front at this stage turned his fours and the match around on the last end with some good bowling from his team. Bowling under extreme pressure his number three, Mark Hollis, forced the opponents skips first bowl from its shot position forcing the Cheshire skip into an irreversible error with his second wood, leaving Hampshire with the two shots required on this mat for the win. The win was now on the cards with the triples in control and the other four, skipped by James Bucknall, having to hold on to their leads without dropping too many shots to concede the bonus points. One end later and Hampshire are National Inter County Champions.